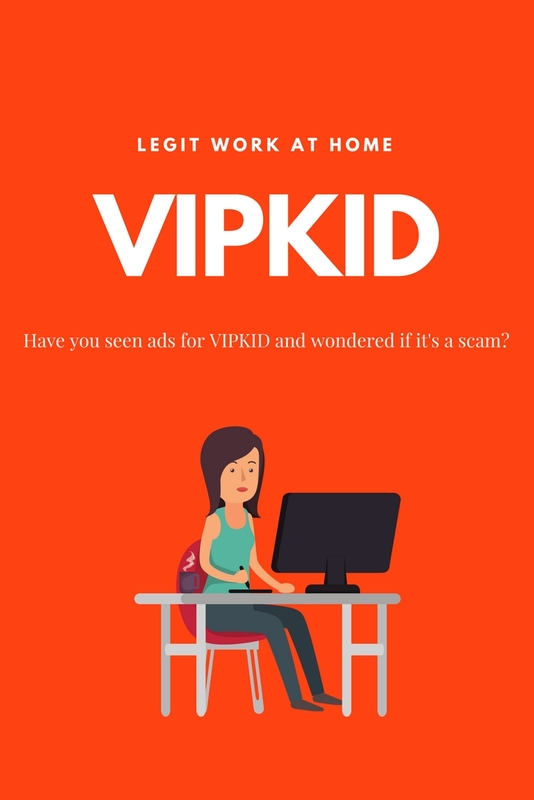 Have you seen ads for VIPKID and wondered if it’s a scam? When I first started seeing these ads in my Facebook feed, I was intrigued, but I am a skeptic. Most work-at-home schemes have some kind of catch to them, and I usually just pass them by. However, when I heard about VIPKID from a fellow homeschool mom who has been successfully teaching with them for a year, I decided to check it out for myself. Not only is VIPKID a legit work at home company, but it is also a leader in ESL education. Strategic Partner of TESOL International Association, the largest global association for English language teaching professionals and a Partner of Coursera, an online learning pioneer. VIPKID offers online fully immersive ESL classes to children ages 4-12. Each one-on-one class lasts 25 minutes and follows the flipped classroom model. Founded in 2013, VIPKID’s mission is to provide the international elementary school experience to Chinese children—all from the comfort of their homes. VIPKID provides one-on-one, fully immersive lessons in its online classroom. VIPKID’s curriculum is proprietary and aligned to the U.S. Common Core State Standards. I have been working for VIPKID for several months, and I still have time to homeschool my children. It is a wonderful company to work for, and I earn real money! I’m a former homeschool mom working for VIPKID now. I have only had 4 students so far. Hi Donna! How long have you been with VIPKID? It takes a few weeks before parents find you and your bookings increase. Make sure you have a good bio and video on your profile. I think for me, it took about a month to become fully booked, and now all my slots usually fill. In the summertime, many students slow down with extra classes, but will return in September. For now, you might want to take as many workshops as you can and go for as many certifications as you can. These will make you more marketable. I’d be happy to answer any questions you have. Feel free to email me at Anne@mylearningtable.com if you’d like.